I was looking for a very old ingredient used in apple pies to enhance the flavor called boiled cider that no one seems to carry, except a few online stores. 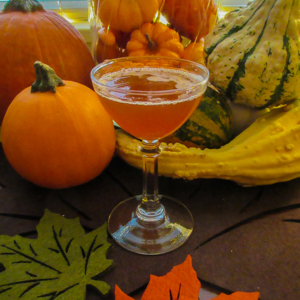 I received it, tasted it and thought why not use it in a cocktail for the fall, thus I came up with this recipe and it’s absolutely delicious. This will be your new favorite cocktail. Place ingredients in a cocktail shaker with ice. Shake vigorously and strain into a chilled cocktail glass. Posted in Bourbon / Rye, RecipesTagged Apple, Apple Cider, autumn, Boiled Cider Cocktail, Bourbon cocktail, cocktail, cocktails for fall, daddy-o's martinis, john apodacaBookmark the permalink. This looks so tasty. I order boiled cider from King Arthur Flour, and usually make cakes and muffins, but there is always some left over. This will be perfect for it. Thanks for posting this recipe. We found a hot rum cider recipe that we love. This one is highly addictive! The boiled cider isn’t syrupy or vinegar-y. It strikes just the right balance between sweet and sour, and gives the cocktail a blast of apple. Great recipe!